Tommy & Stella honeymoon couple from England designs to flew away from homeland to Thailand after their married in England. 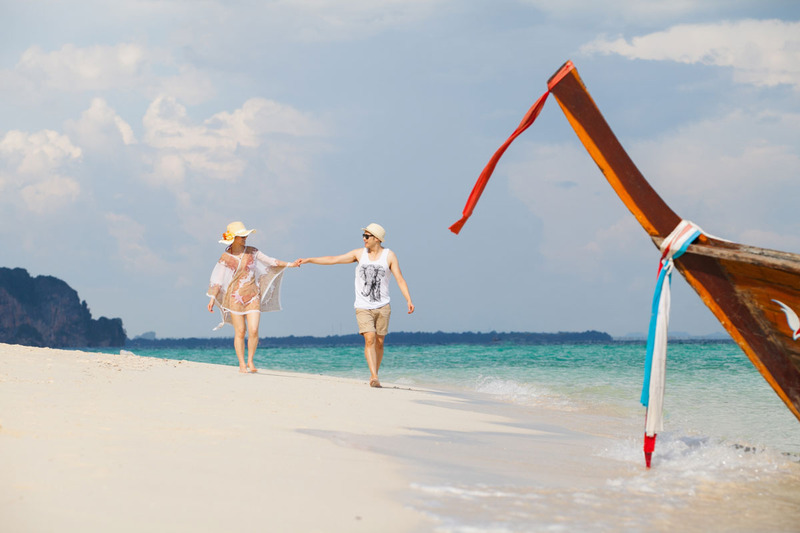 They choose Krabi for their honeymoon trip destination. 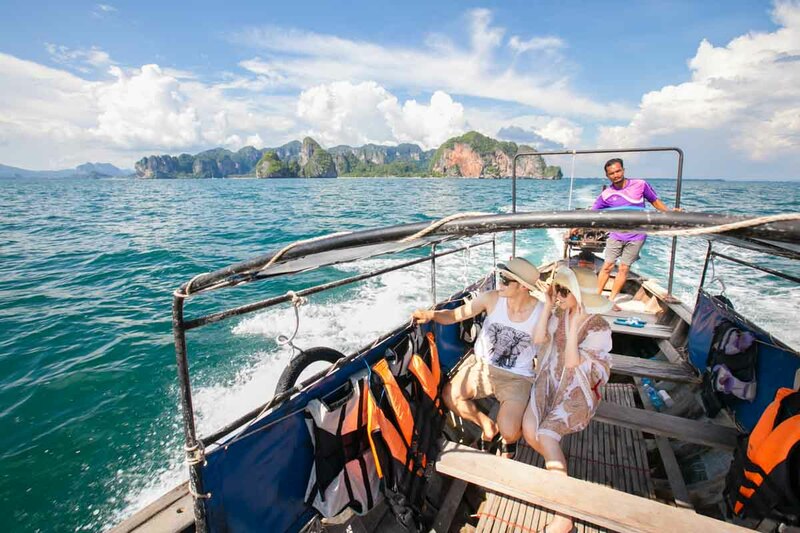 Travel by long tail boat around Krabi bay. We are start shooting from their cooking class short as Rayavadee arranged for them in that day morning. Tommy & Stella so enjoy with their class. The beginning menu of the class is authentic famous soup called “Tom Kha Gai” (Chicken in Coconut Soup) The taste from couple created might be not for Thai people‘s tongue but of course it’s fantastic for newly wedded couple from far land. We are so lucky with the weather, with open sky view. The sun getting down to the sea, everything went well beyond our expectation with stunning shot and amazing view. The photos turn out so beautiful with romantic lighting from sunset scene. I am so grateful to them to giving me a chance to capture their stunning love moment.Tommy & Stella honeymoon photography in Krabi.